The wrestling world lost one of its true giants earlier today as Nelson Frazier, known to most in wrestling as “Mabel,” “Viscera,” or most recently “Big Daddy V” passed away from a heart attack at the age of 43. Frazier first arrived in WWE in 1993 as part of the tag team “Men on a Mission (M.O.M).” The group consisted of Frazier as “Mabel” along with tag partner “Mo” and their manager “Oscar.” The trio was a rap group (although Oscar was the only one that actually rapped) and had a very brief tag team title reign in 1994. At 6’9 and over 400 pounds, it was a foregone conclusion that “Mabel” would somehow be used in a more prominent position at some point in WWE; that time came in 1995 when Men on a Mission turned heel on their manager and Mabel began a run as a singles wrestler. Mabel shocked the wrestling world when he won the 1995 King of the Ring tournament (a tournament that also included the likes of Shawn Michaels and The Undertaker,) a win that quickly catapulted him into the main event picture. The win set the wheels in motion for “King Mabel” to challenge WWE Champion Diesel (Kevin Nash) at SummerSlam 1995 which saw Mabel lose in what was considered an underwhelming main event. Mabel remained a top heel for WWE until early 1996, when he departed the company and returned to the independent scene. Mabel returned to WWE in 1999, where he was rechristened “Viscera,” a member of the Undertaker’s Ministry. 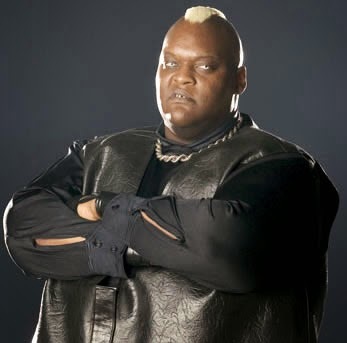 Viscera remained a regular part of the WWE Attitude Era throughout the late 90s before taking another couple of years away from the company. Viscera returned again in 2004 for yet another run with the company, and this time he created some comedy moments with his “love machine” character that wrestled in gigantic pajamas. In 2007 Viscera was moved to WWE’s “ECW” brand, and debuted as another new character “Big Daddy V.” This reincarnation of the big man was a throwback to the 80s style giant monsters that mainly stood for destruction. This was Frazier’s final run with WWE, but it was a nice way to out as it allowed him to be the monster his size and look made him out to be. Nelson Frazier has been a memorable figure in the wrestling world for the past 20 years. His many reincarnations in WWE showed where he stood with the company throughout their many different eras. His look and size along with his agility given his size was something special. When you saw someone with his look coming down the aisle, you knew you were at a pro wrestling show. It’s a shame these days we seem to be seeing less of the giant monster wrestlers that are special attractions like Nelson Frazier was, but his memory will hopefully inspire more in the future. Kurt Angle arrested on DUI charges! It's especially sad to hear that he passed away while trying really hard to get his health back in order. He had lost a lot of weight during a six month stretch.